The L.N. Gumilev Eurasian National University (ENU) has announced its presence in Brussels, the capital of the European Union. Senior University officials in charge of internationalisation and development of international cooperation arrived in Brussels this week to sign an agreement with their hosts, the Modern Education & Research Institute (MERI). The opening ceremony took place on April 1st, 2019 and was attended by ENU’s First Vice-Rector Moldazhanova Assemgul Alexandrovna, alongside the founders of MERI, Axana Pozdnyakova and Ekaterina Tsaranok. In addition to the official delegation from the university, the event was attended by representatives from various academic communities of Kazakhstan and the European Union, as well as other numerous officials. The ceremony ended with a press conference for Kazakhstani and European media. Significant work preceded the opening of this agreement. The ENU was founded in 1996 as a personal initiative of Kazakhstan’s first president, Nursultan Nazarbayev. It was a response to the rapidly changing educational environment of the 20th century and was the first step towards elevating Kazakhstan’s educational system to a global level. 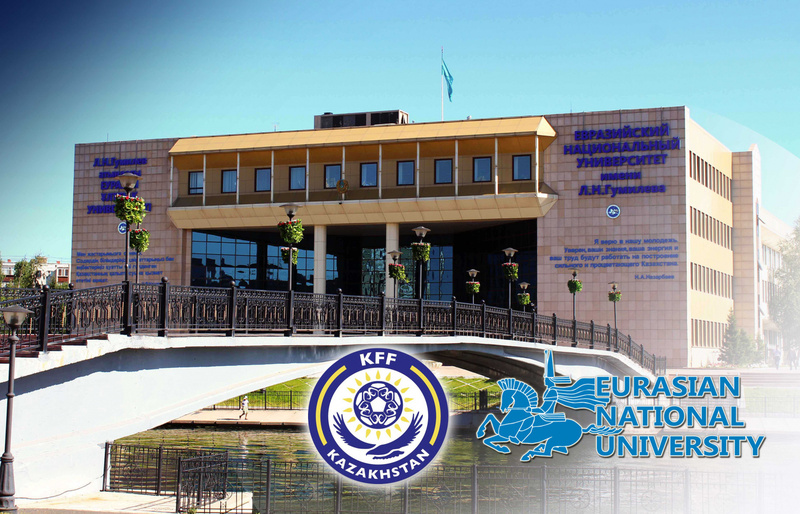 After its launch, the ENU pursued a course to consolidate its position as a hub of European knowledge and science in Central Asia. Currently, the ENU is the only higher- education institution in the region included in the prestigious QS “Top 50 Low 50” ranking, which ranks the best young global universities, and is currently ranked 40th amongst 300 universities in Eastern Europe and Central Asia according to QS’s “Emerging Europe and Central Asia” international ranking. Students from twenty-five countries around the world have chosen ENU, a place where modern and high-quality education is provided by qualified and superb educators. Henceforth, the opening of the University’s representation in Brussels serves as a strategic step to increase the level of modernisation and internationalisation of the University, as well as a continuation of development in the fields of fundamental and applied science alongside European colleagues. This is imperative due to the fact that education and science in the age of IT and big data have become a driving force of economic growth, thus increasing the efficiency and competitiveness of Kazakhstan’s national economy. the potential of opening an ENU campus in the EU in the near future is to be considered. Currently, students are trained at the university’s thirteen faculties in the fields of international relations, tourism, Information Technology, nuclear physics, radio electronics, architecture and design, transport logistics and industrial technologies, space technology, ecology and biotechnology, computer hardware and software, and mathematical and computer modelling, amongst others. The ENU is in close cooperation with more than 170 universities around the world. In addition to the EU, Kazakhstan’s cultural and educational centres operate internationally thanks to the ENU in Belarus, Iran, China and Turkey. Furthermore, the international “Scopus” database includes the following ENU scientific journals: the Eurasian Mathematical Journal, the Eurasian Journal of Mathematical and Computer Applications, and the Eurasian Journal of Physics and Functional Materials. The Modern Education & Research Institute supports educators and university administrators in modernising their activities by introducing modern approaches to higher education in a global context as well as in recognising and adapting to changes in the global, social, and academic environment. MERI is headquartered in Brussels.